There are a few different ways you can get connected to some support with us. Some of our programs do require an intake appointment. (For more information about how to complete an intake, check out “Intake Information” below.) We have many drop-in programs that you can use right away, without having to complete an intake. Some drop-in programs require registration. Please see more information about each drop-in program below. 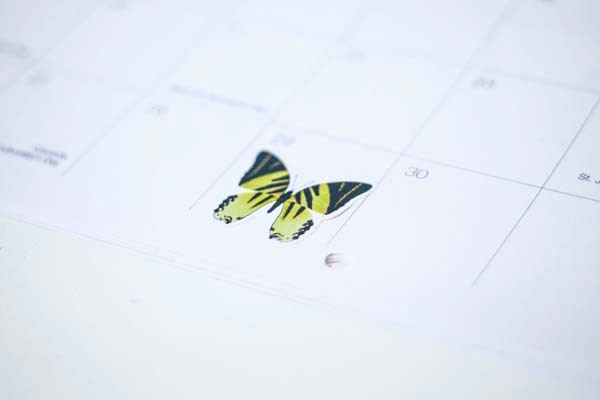 Check out the calendar below to find out what’s happening this month and come join us! In order to keep wait times for an intake as low as possible, we are now offering a drop-in group intake session at 3pm every Thursday! The group intake session has limited space and operates on a first-come, first served model. Make sure you come early to ensure you get a spot! Click here to check out this document for more info about our intake session. If you have any further questions, check out the FAQ at the end of this page, or e-mail: [email protected] and we will be happy to help! Please note that our facilities are not currently wheelchair accessible. Due to a change in resource availability, spectrums will be on hold for the time being. The organization is working very hard to be able to re-instate this valuable support to our community. In the meantime, please check out https://egale.ca/outreach/ for similar kinds of programs. This week we’ll be making box art! Boxes, and art! Put some art in a box, make the box itself art, artistic art box for artly arts! In boxes! Have a box you can bring? Shoe box? Jewelry box? Box box? Bring those boxes! Remember to think outside the box!! This week we’ll be making custom Permission Slips for ourselves on paper with pencils, markers, crayons, collage, watercolour - whatever floats your boat. Whether you need permission to rest or riot - give yourself a free pass to do you. This week we’ll be heading over to the Lululemon on Queen and Spadina for a unique studio experience! Resident DJ Chippy will be hosting a short DJ-ing workshop where you can learn some mixing skills, and more about the dj-ing scene. DJ Chippy is a founder of Intersessions, a DJ collective being hosted at the Lululemon space. Wanna learn some disk jockeying skills to wow your friends next time you get the aux cord? Thinking about taking the city by storm as the next DJ? Maybe you just wanna see what this is like? This studio session is for you! There are still spots available, RSVPs will be first-come-first served. Email Liz at [email protected] to secure yours! We will be meeting in the Cafe at 5pm at Stella’s Place and walking over to Lululemon together. Snacks will NOT be provided at this meetup, please check out the Cafe earlier in the day if you wish to grab some nibbles! You will still need to sign in and get your Studio Sign-In Token from Heidi or Natai at the Front Desk, please make sure you give it to one of us (Funmi or Liz) when we start our walk! Learn magic with Guest Facilitator and Magician extraordinaire, Nick Mallay! Our Cafe space is open for young adults to come and hang out, work on their own, have some coffee or tea, use the free wifi, play a board game, wait for their appointments, or make some art in a safe space. Walk-in individual counselling is available on afirst-come, first-served basis. Finding My Path aims to support young adults interested in developing skills toward obtaining meaningful employment through community, peer support, and employment counselling. Contact Venessa at [email protected] for more information or check the drop-in calendar above to see each session’s topics! Get some individual support from one of our peer support staff online. Download the free app in the app store. Stella’s Place offers free individual short-term counselling for 8 sessions per participant. This short-term model helps us to keep waitlists as short as possible. The navigator can help with applying for employment or education programs, applying for ODSP/OW/OSAP, etc. Learn to apply Dialectical Behavioural Therapy Skills to your life. You will learn how to identify and cope with your emotions, how to manage difficult situation, and how to build communication skills with family and friends. Our DBT Skills group will be offered in the evening in the spring. We will focus on learning DBT skills of mindfulness, distress tolerance, and emotion regulation. In a supportive, harm reduction environment, participants will expand their coping strategies while exploring their relationship to substance use. Participants must identify as LGBTIQQ2SA+ to join this group. Wellness Recovery Action Plan (WRAP) is a peer-facilitated wellness program that helps you be in charge of your mental health recovery. WRAP discusses concepts like hope, education, peer support, self-determination and self advocacy. Along with a variety of activities and group discussions, participants will develop a wellness toolbox and action plans around triggers, identify signs of crisis and develop a crisis plan. The Skills for Safer Living group focuses on living life more safely. It offers skills to help participants learn to identify needs, regulate emotions, problem solve when distressed, and improve one’s effectiveness in relationships. This program invites the participant to consider engaging with life and consider thinking about the future differently. For young adults who self-identify as living with social anxiety. The group is informed by acceptance and commitment therapy, experiential learning and mindfulness approaches. Participants will get in touch with their values and learn to set value driven goals. They will also build skills to stay attuned to moment to moment experiences, bring acceptance and compassion too difficult feelings, and gain distance from their worries and fears. Click below to dowload a printable version of the program schedule.